As has become Mister custom, I’ve made a list of my cultural highlights of 2016. There’s an art show, a few LPs, a couple of good reads and a handful of gems for the dance floor. Nick Cave, Skeleton Tree I love Nick Cave. Like Patti Smith, who I wrote about last year, he just seems to embody the life of a consumed artist. He’s a man who pours every emotion, question, curiosity and vulnerability into his music. And never has he had to do that as much as he did this year with Skeleton Tree, a record released in the aftermath of the unimaginable horror of losing his teenage son in a tragic accident. It’s not surprising really that he made his best record under these conditions, but it is heart breaking to think it took such circumstances to bring about his best work. 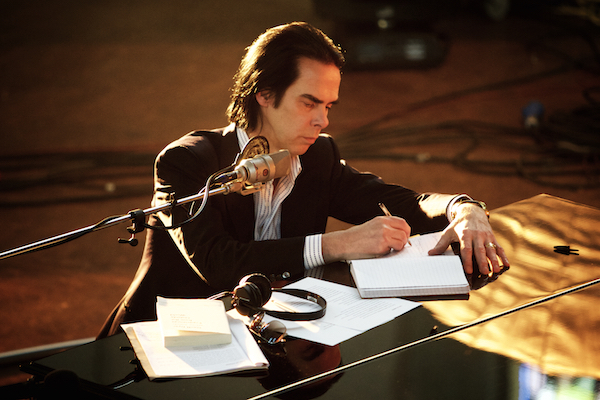 Nick Cave, One More Time With Feeling How do you release a record which so obviously speaks to the pain you’re feeling about the death of your son and then deflect the ensuing barrage of painful questions from the press when the record is released? You make a movie about the recording of the songs and slowly reveal your pain as a pre-emptive strike against such morbid curiosity. Nick Cave has created a wonderful compliment to Skeleton Tree, producing a captivating insight into the personal nexus of art and pain. Kerry James Marshall, Mastry I went to check out the Kerry James Marshall retrospective at the Met Breuer a couple of days after the Presidential election. Like a lot of people at that time, I was still in a pretty emotional state, and I was reaching to art and culture for comfort. 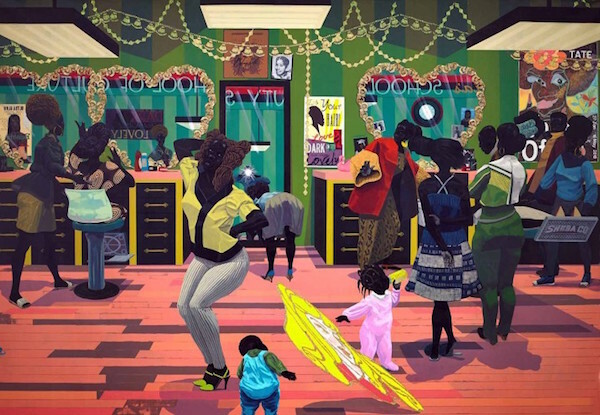 Kerry James Marshall is an African American artist whose work depicts only African American figures. You can still check it out until Jan 29. I thoroughly recommend you do. Mary Halvorson Meltframe (Firehouse Recordings) I didn’t discover Mary Halvorson until this year, although this album, on Firehouse Recordings, was released in 2015. Halvorson is a jazz guitarist, and this record is a collection of solo recordings of older jazz numbers played as single guitar recordings. She utilizes pitch shifting, delay and virtuoso playing to create something truly unique – experimental and traditional, delicate and rough all at once. Catch her at Winter Jazz Fest next month. I’ll be there. A.O. Scott, Better Living Through Criticism A.O. 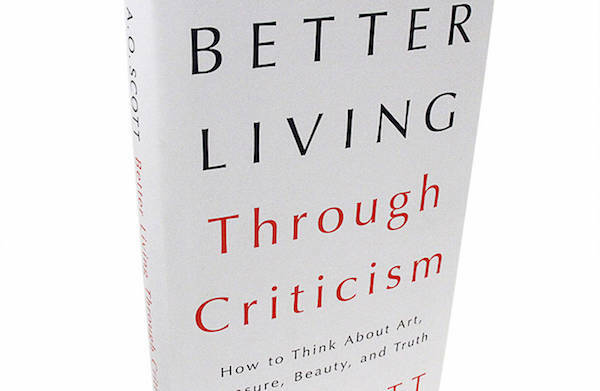 Scott makes a strong argument for his version of the truth in his book Better Living Through Criticism. He believes strongly in the art of criticism and its role in shaping and guiding the creation of great art, an essential symbiotic relationship laden with essential tension. 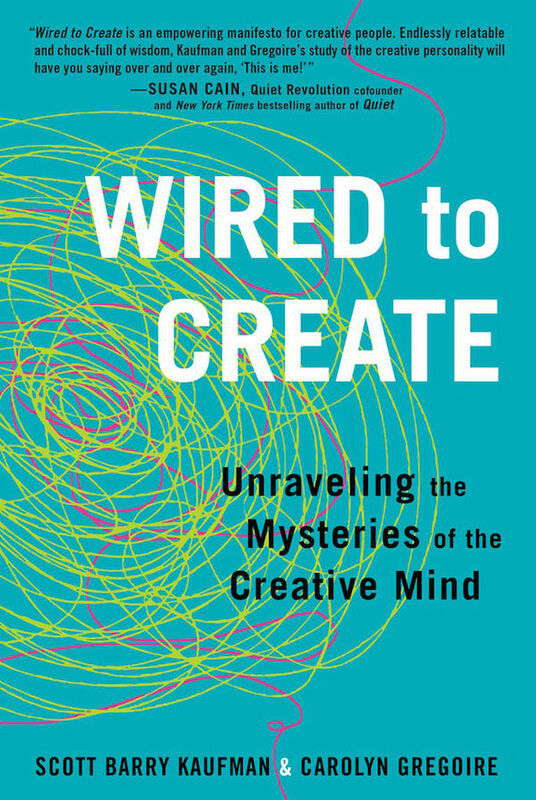 Scott Barry Kauffman & Carolyn Gregoire Wired To Create I’ve read a few books on creativity over the years, but this, hands down, is the most comprehensive and insightful one of the lot. It looks at the science and intuition of creativity, simultaneously endorsing instinct whilst also challenging conventional wisdom on the topic. The biggest take away – stay loose, curious and open to possibility. Shye Ben Tzur, Johnny Greenwoord and the Rajasthan Express, Junun (Nonesuch Records) Shye Ben Tzur is an Israel-born composer now living in Northern India who writes and records devotional music in Hebrew and Hindi. For this record he collaborated with Jonny Greenwood from Radiohead (who has a back seat role while giving the record a significant audience) and a collection of North Indian musicians (who because of tradition wouldn’t ordinarily perform together) under the banner of the Rajasthan Express. The result is a very spiritual record, full of polyrhythms, soaring horns and beautiful harmonies. Paul Thomas Anderson (of There Will Be Blood fame) directed a movie about the making of the record, which you can check out on Netflix. Pangaea, “Rotor Soap” I’ve been a fan of Kevin McAuley’s records for a while, dropping this jam at several points over the first half of the year. But it’s the first track of his recent LP on Hessle Audio which is really doing it for me right now. If you’re at the Mister anytime soon, expect to hear this one. The whole record is really great, too. Floorplan, “Tell You No Lie” The only downside to this record is that it got played out a lot very quickly when it was released, so I didn’t feel like I could play as much as I wanted to. But at the end of the day, there’s a reason everyone was caning it. Another killer release from Mister Robert Hood. Nebraska, “Done My Best” This track was released on our own label. It was a staple in our sets from Tokyo to London to Panorama Bar to back home at Nowadays and never failed to deliver. Big up to our man Ali Gibbs! Crash Course in Science, “Jump Over Barrels” I used to hear this record a lot at Optimo back in the day, so I jumped on it this year when the reissue from the excellent Dark Entries suddenly appeared. I love synth and drum machine records from the post punk period, and it doesn’t get much better than this. Kanye West, Life of Pablo Hard to like him as a person but hard for me not to love his records. Leron Carson, Lemonline A beautiful, simple house track. Radiohead, A Moon Shaped Pool Radiohead deliver again. Frak, “Synthfrilla” More goodness from Dark Entries. Spirit Of Love, “He’s Alright” Another killer reissue form Athens of the North. Tim Lawrence, Life & Death On The New York Dance Floor, 1980-1983 And an excellent follow up to Love Will Save The Day.